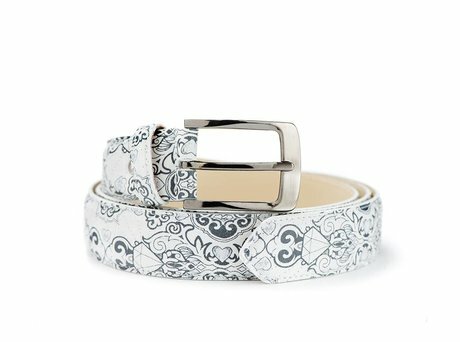 Go for a complete look with this Kurt Ben Tattoo belt. A perfect match with the Kurt II Ben Tattoo! Do you want a complete look? Then choose this Kurt II Ben Tattoo belt! We have a Limited Legends collection especially for our 10th anniversary. To make it completely complete for you, there is a matching belt for every Kurt men's shoe. Ontvang direct een e-mail zodra de REHAB BELT KURT II BEN TATTOO LL BLACK-WHITE op voorraad is in jouw maat.